The 30-acre all-faith cemetery is one of only a few municipal owned and operated cemeteries in California. The first records at the cemetery are dated 1864. If you are on Winchester Blvd. Mission City Memorial Park is on the left and on the next block Santa Clara Mission Cemetery is on the right which always causes a lot of confusion, even to long time residents. 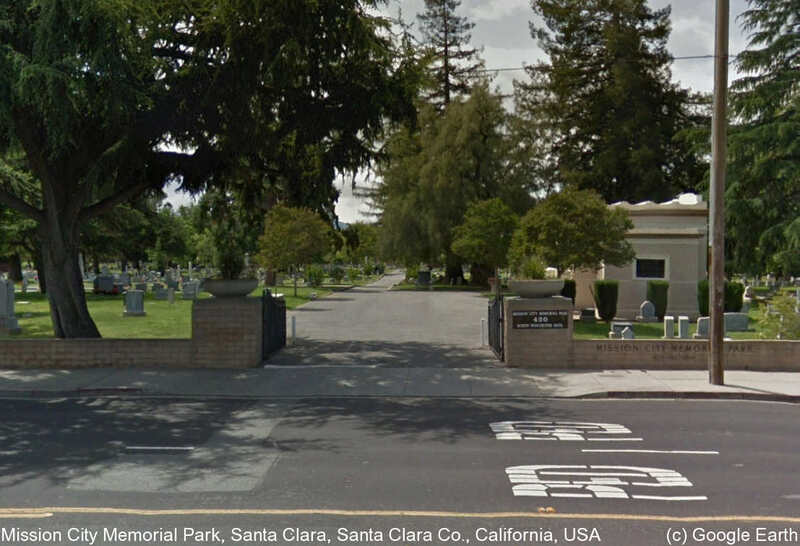 In order, it has been known as Santa Clara Burial Ground, Santa Clara Protestant Cemetery, Santa Clara City Cemetery and Mission City Memorial Park since 1972.